The fight around the Mountain Valley Pipeline, a 300 mile natural gas pipeline planned to run through the mountains of Virginia and West Virginia, has been full of newsworthy drama. Ongoing protests, courageous tree sitters, calls for stay of construction, inept contractors, and finally, a pulled permit, have kept this controversial project in the media. Behind these stories, however, a cadre of banks and investors are sitting in the shadows, waiting for this to all blow over. The annotated map below provides a snapshot of the banks financing the project and some of the major investors in the corporation behind it. 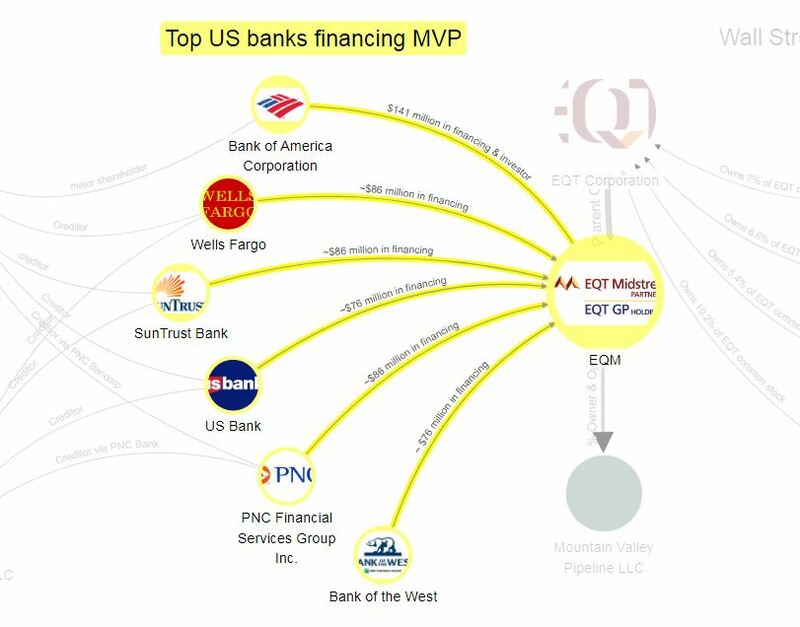 MVP operator and majority owner EQT Midstream Partners (EQM) secured around $550 million of its credit line from six top US banks: Bank of America, Wells Fargo, SunTrust Bank, PNC, US Bank, and Bank of the West. 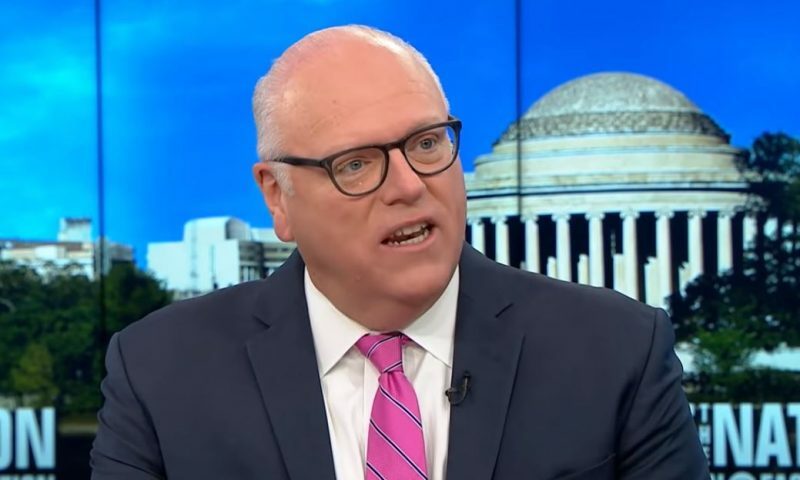 Four of these banks also financed Energy Transfer Partners and Sunoco logistics to build the Dakota Access Pipeline, which led to widespread calls for divestment from these banks. The banks financing – and profiting off of – the Mountain Valley Pipeline. Full map at LittleSis.org. Price of Oil’s comprehensive review of the financing of MVP noted that at least one of these banks changed its policy around financing oil and gas pipelines. In April 2017, U.S. Bank quietly announced that it will exclude project-level financing for oil and gas pipelines from its portfolio, becoming the first major bank in the U.S. to do so. This update to U.S. Bank’s Environmental Sustainability Policy came in response to ongoing pressure from groups including MN350 and Honor the Earth, and the DAPL resistance movement. U.S. Bank can and should take the next step of committing to end its corporate-level financing for companies like EQM that are solely in the business of building oil and gas pipelines. 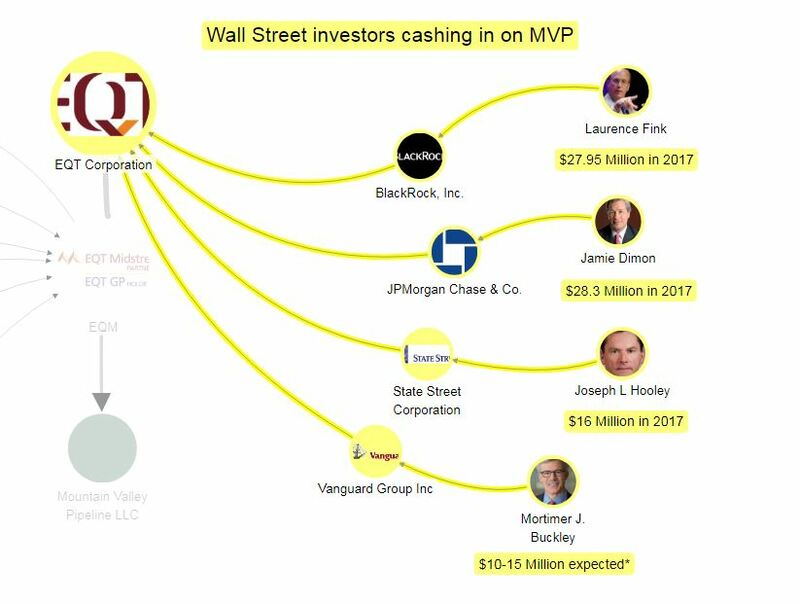 In addition to the banks underpinning the project, EQM’s parent company, EQT Corporation, is enjoying robust investment from some of the largest and best known institutional investors on Wall Street. EQT has four significant shareholders who each held over 5% of its common stock at the end of the first quarter of 2018. Investors at this level of ownership have a tremendous amount of leverage with the company. 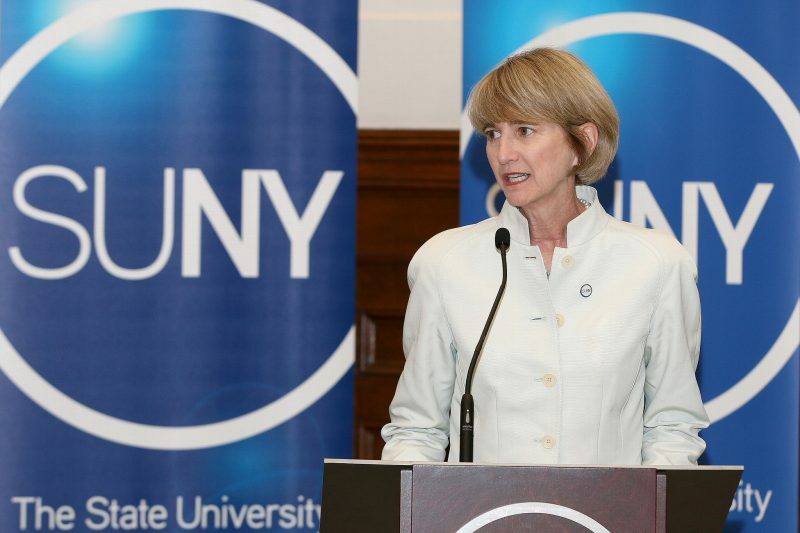 The CEOs of these institutional investors made an average of $21.8 Million in base compensations, bonus incentives, and stock awards. Comparatively, the average per capita incomes in West Virginia and Virginia, where the pipeline is being built, are $24,002 and $34,967 respectively. 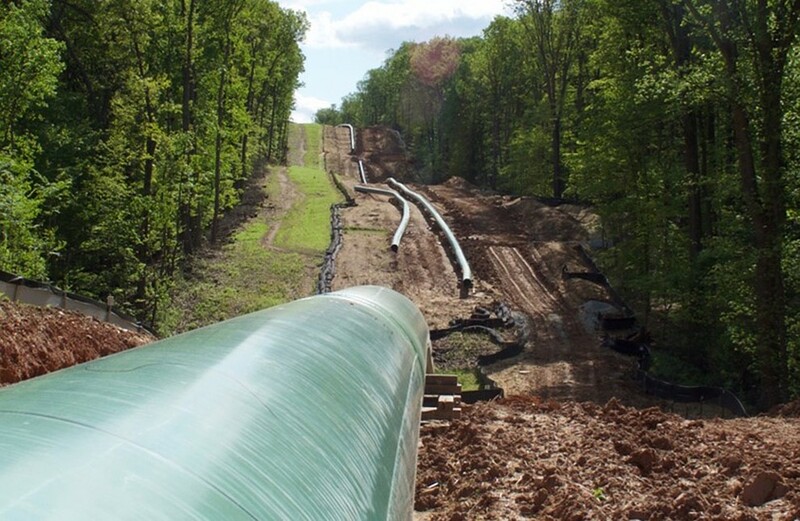 The private equity bigwigs set to cash in from the Mountain Valley Pipeline. Map at LittleSis.org. EQT Midstream Partners, the EQT subsidiary directly overseeing the Mountain Valley Pipeline, is also seeing robust direct investment from Wall Street. While EQM is a separate company from EQT with its own common stock, EQM does not have its own employees, and all executive personnel are EQT officers who also manage the EQM business. Notably, at the end of 2017, Stephen Schwarzman’s Blackstone group purchased 2.5% of EQM’s stock worth nearly $150 million. 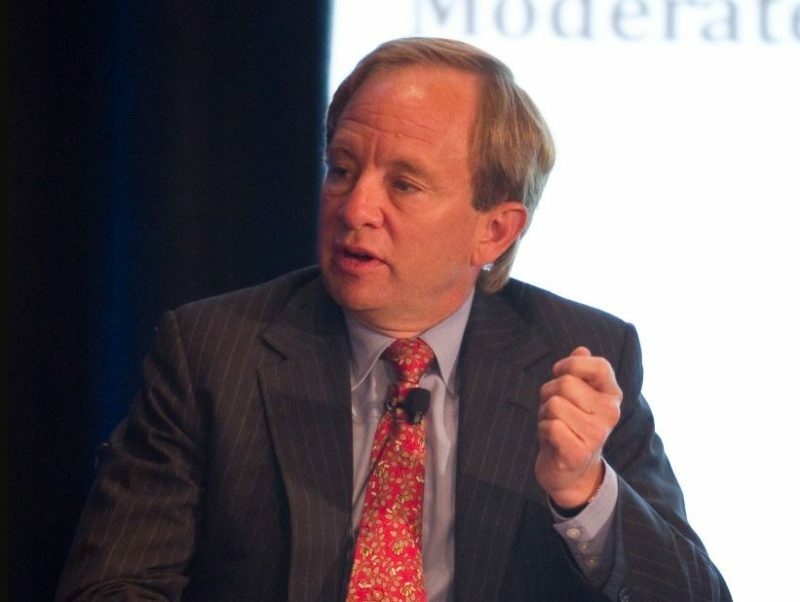 Perhaps sensing trouble, Blackstone sold off its position by the end of the first quarter of 2018. Though there are powerful forces behind the pipeline, its ultimate fate remains to be seen. Last week the US Army Corps of Engineers halted construction on the pipeline to review its compliance with West Virginia’s environmental laws. All this has brought increased scrutiny within Virginia on the approval process for the same permit for the controversial Atlantic Coast Pipeline that will run through West Virginia, Virginia, and North Carolina (we reported on the ACP last year).